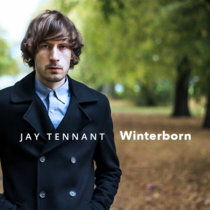 Jay Tennant is a Warwickshire-based indie-rock singer-songwriter from the UK with a rich melodic voice and many stories to tell. After 10 years spent fronting a number of exciting bands across the Midlands, he is channelling his experience and keen ear for a sweet melody into a set of personal solo songs that explore different moods and each tell a different story about the human condition. Jay is currently recording a few tracks to form the basis of a first EP and is planning some acoustic gigs for 2017.